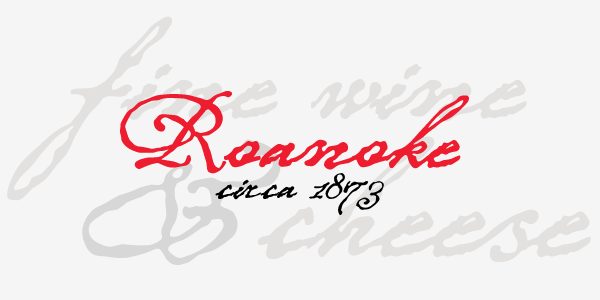 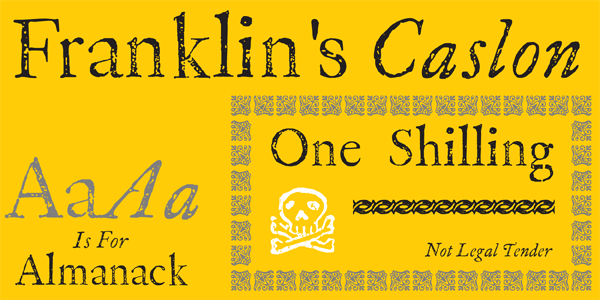 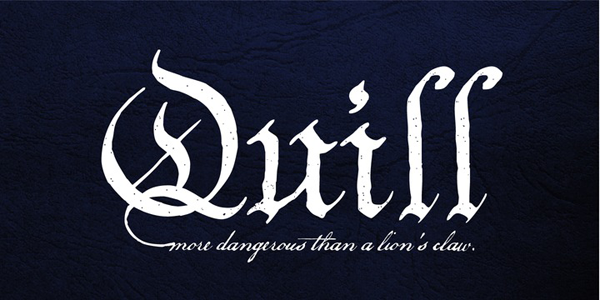 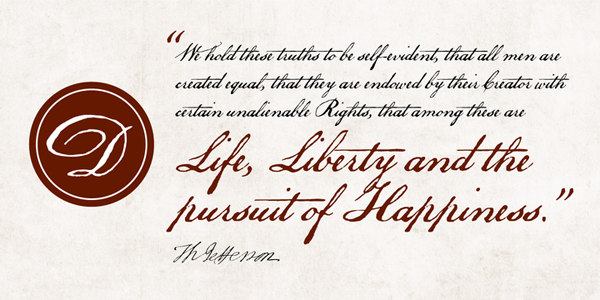 When in the course of human events it becomes necessary to change a font from one to another... We hold these truths to be self-evident, that all fonts are not created equal. 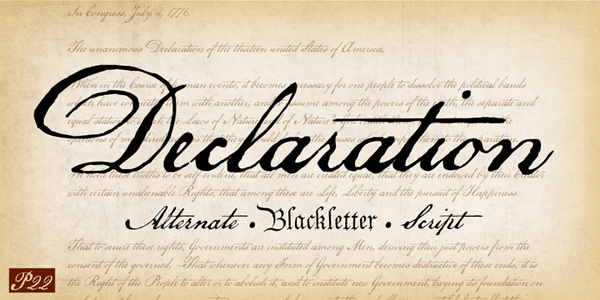 The Declaration family from P22 includes two lettering fonts based on the Declaration of Independence of the United States of America—a script font that features the look of classic 18th Century penmanship, with a slightly irregular edge, as found on documents made with ink quill pens on vellum or parchment and an accompanying Blackletter font that was used for emphasis and of course for the title itself. 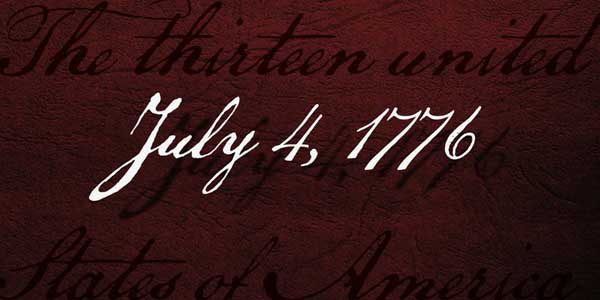 The signatures of the signers of the Declaration of Independence round out the original set. 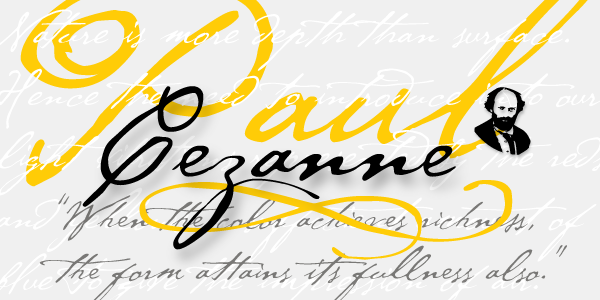 P22 Declaration Pro combines all of these fonts and adds much more into one OpenType font with smart features. 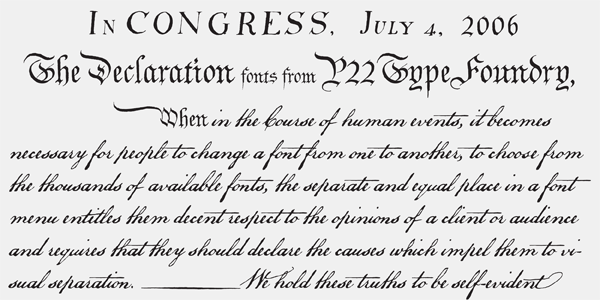 For those users who do not have applications that support the OpenType features, The Declaration Basic Family includes the 3 main styles plus two alternate"Declaration Alternate" and "Declaration Sorts" fonts to create a full facsimile of the Declaration of Independence and make impressive documents to separate from your own oppressive regime.